After decades of searching, scientists have finally detected in space the first molecular bond that would have formed in the early Universe after the Big Bang. The unambiguous discovery of the helium hydride ion HeH+ in the planetary nebula NGC 7027 brings to a close an epic hunt to locate the elusive molecule in outer space, and cements theoretical predictions of the chemistry that essentially makes the Universe as we know it possible. “The lack of evidence of the very existence of helium hydride in the local Universe has called into question our understanding of the chemistry in the early Universe,” astronomer Rolf Güsten told ScienceAlert. Once the early Universe cooled down following the Big Bang almost 14 billion years ago, theory suggests that the ions of light elements began to recombine with one another. At a temperature somewhere below 4,000 Kelvin, the early Universe bore witness to what researchers say was the dawn of chemistry, and the whole process – according to science – depended on one pivotal step. 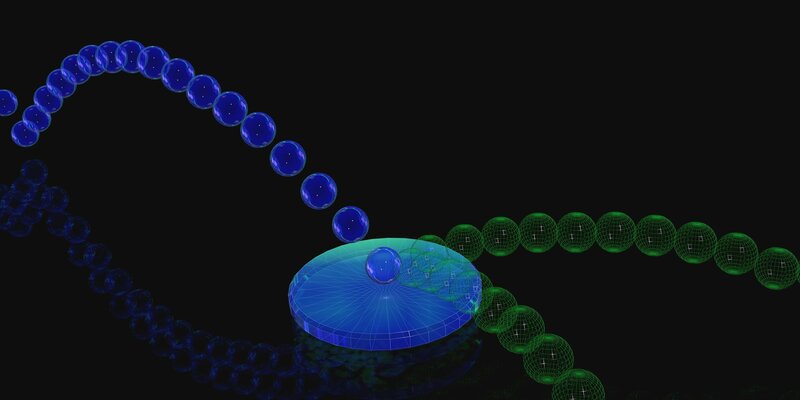 “In this metal-free and low-density environment, neutral helium atoms formed the Universe’s first molecular bond in the helium hydride ion HeH+ through radiative association with protons,” Güsten and fellow researchers explain in a new paper [Nature]. On an understandably smaller scale, scientists replicated the basic chemistry in the lab almost as far back as a century ago – but one considerable hurdle remained. That hurdle was that helium hydride – this most elementary of elementary compounds – was never seen in the wild. By wild, we mean space, and by space, we mean planetary nebulae. Planetary nebulae are glowing, expanding clouds of ionised gas that are expelled in the last stages of a star’s life – and they’re one of the closest astronomical analogues we have for post-Big Bang chemistry, at least as far as HeH+ is concerned. Scientists predicted HeH+ might form in planetary nebulae back in the 1970s, but up until now we’d still never been able to detect it. According to the researchers, that’s because Earth’s atmosphere is essentially a brick wall for ground-based spectrometers trying to perceive the molecule at the specific infra-red wavelength where it would be viewable. In addition, previous technological limitations in comparative low-resolution spectrometry made any observations of HeH+ ambiguous at best. Güsten’s team was able to overcome these two barriers in unison, thanks to the capabilities of the German Receiver for Astronomy at Terahertz Frequencies (GREAT) when flown aboard NASA’s Stratospheric Observatory for Infrared Astronomy (SOFIA) aircraft. According to Güsten, GREAT is the only instrument worldwide that can perform these kinds of observations, and it would only ever be capable of seeing helium hydride in space if it were airborne first. “One cannot perform this search from ground-based observatories because at [the] 149 μm wavelength, Earth’s atmosphere is totally opaque,” Güsten says. Over three flights in May 2016, the team used their high-resolution spectrometer to observe the planetary nebula NGC 7027, and the readings gave the scientists exactly what they were looking for: the first unambiguous signal of the first ever molecule in space (after the Big Bang at least). Güsten says, with the new NGC 7027 results in hand, we can now put constraints on the chemical reactions that control the formation and destruction of the helium hydride molecule. “The respective rates are difficult to measure/to calculate, and in the literature have changed by factor of 10 in recent years,” Güsten told ScienceAlert. 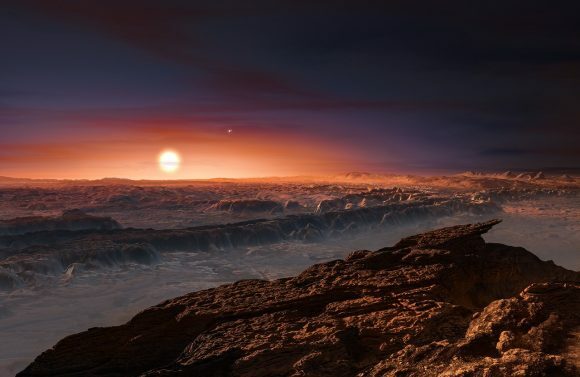 However, using lifeforms from early Earth as an example, a new study [MNRAS] conducted by researchers from the Carl Sagan Institute (CSI) has shows how life could have a fighting chance on Proxima b after all. The study, which recently appeared in the Monthly Notices of the Royal Astronomical Society [link is above], was conducted by Jack O’Malley-James and Lisa Kaltenegger – an research associate and the director of the Carl Sagan Institute at Cornell University. The Carl Sagan Institute (CSI) was founded to find life in the universe. Based on the pioneering work of Carl Sagan at Cornell, our interdisciplinary team is developing the forensic toolkit to find life in the universe, inside the Solar System and outside of it, on planets and moons orbiting other stars. Recent scientific results show that in our galaxy alone there are billions of planets orbiting other suns. After billions of years of evolution on our own Pale Blue Dot and thousands of years of questioning, we finally have the technology in hand to explore other worlds inside and outside of our solar system. The information generated by the search for signs of life on other worlds also helps us understand and safeguard our own planet — our Pale Blue Dot — better. CSI for the search of life in the universe: CSI explores factors that determine if a planet or moon can host life and how we could find it by bringing together experts from a wide range of disciplines, from sciences, engineering to media who work together with some of the planet’s most talented students at the undergraduate, graduate and postdoctoral level. CSI researchers use the latest data from space telescopes, probes to the solar system’s diverse worlds, field and satellite data on our home planet, laboratory studies of terrestrial organisms, and modeling of complex processes from the astronomical to the biological to explore these profound questions. And CSI researchers participate in the development of the next generation of space- and Earth-based facilities to probe ever deeper and farther. CSI also interprets these results for the widest possible audience, sharing the fascination of science with everyone who is interested in where humankind stands in the quest to understand our place in the cosmos. The Carl Sagan Institute was founded in 2015 at Cornell University to find life in the universe and explore other worlds – how they form, evolve and if they could harbor life both inside and outside of our own Solar System. Directed by astronomer Lisa Kaltenegger, the Institute has built an entirely new research group, spanning 14 departments at Cornell and including more than 25 faculty who focus on a wide range of the search for life in the universe interdisciplinarily. The research group is embedded in a rich environment of established international interdisciplinary cooperation at Cornell. The Institute’s collaboration brings together researchers from fields as far apart as astrophysics, engineering, earth and atmospheric science, geology and biology to tackle questions as diverse as those about the astronomical context of the emergence of life on Earth, how to find it and what this discovery would mean for humankind. This 9980-kilogram meteorite, which crashed into Australia, contains tiny amounts of natural superconducting material, physicists have found. Now physicists from ETH Zürich have cleverly used laser pulses to understand the quantum nature of a vacuum, setting a landmark in our attempts to measure absolute nothingness. Tags: "The US Is Only Decades Away From Widespread Water Shortages, Applied Research & Technology ( 5,458 ), Earth Observation ( 456 ), Much of the United States could be gripped by significant water shortages in just five decades' time according to predictions made in a new study., Science Alert, Scientists Warn"
Much of the United States could be gripped by significant water shortages in just five decades’ time, according to predictions made in a new study. From the year 2071 on, scientists say the combined effects of climate change and population increases are projected to present “serious challenges” [Earth’s Future] in close to half of the 204 watersheds covering the contiguous US. In the researchers’ projections, water supply is likely to be under threat in watersheds in the central and southern Great Plains, the Southwest and central Rocky Mountain States, California, and areas in the South (especially Florida) and the Midwest. “There’s a lot of the US over time that will have less water,” one of the researchers, economist Thomas Brown from the US Forest Service told Reuters. To reach their estimates, Brown and his team used a number of global climate models to project future climate scenarios, while factoring in data on expected population growth. According to the scientists, water stability in the US was achieved in the 1980s, after decades of increased demand which saw water usage surge ninefold since the turn of the 20th century. “Although studies show that climate change is likely to bring increasing precipitation in many areas of the contiguous 48 states of the [US], especially in northern regions, other areas are expected to receive less,” the authors write [Earth’s Future] above. In the study, the researchers modelled water supply and demand for 14 alternative climatic futures, using two future greenhouse gas emission scenarios with seven global climate models, and assuming water use efficiency will continue to improve as it has in the past. While the findings are only projections and inherently uncertain, as the researchers acknowledge, they are nonetheless grim. “In future periods, as population and economic growth plus the changing climate alter water yield and demand, shortages are projected to increase substantially, in the absence of adaptation measures, with many of the 14 futures we examined,” the researchers explain [Earth’s Future] above. The team is eager to emphasise that these projected water shortages are not locked in, though, and could be mitigated by ongoing and future adaptations to water usage – especially in agriculture (which accounts for 75 percent of annual water consumption in the US) and industry. In previous decades, reservoir construction has been a massive boon to water stability, but as the world gets hotter and drier, the researchers say it will be less useful compared to other 21st century adaptations, such as boosting irrigation efficiency. “Where water is the limiting factor, a reservoir enlargement is unlikely to store any water,” Brown says. Tapping into groundwater is another option, but given that it is a limited and threatened resource itself, it’s not something we should be too reliant on, the researchers say. Instead, our water usage as a whole has to be looked at, and we particularly need to look at increasing the efficiency of usage among the primary users of this limited and precious resource. “In reality, irrigated agriculture is unlikely to bear the full burden of accommodating future water shortages,” the authors write. 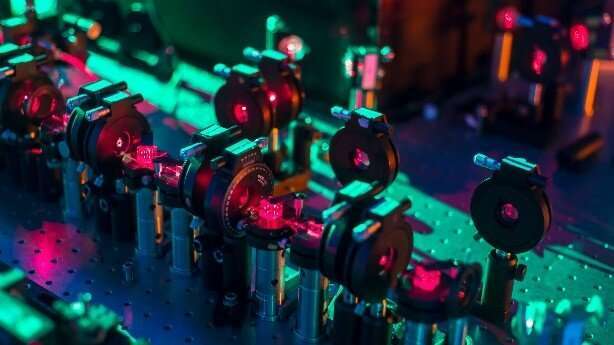 In recent years scientists have started exploring the concept of anti-lasers – devices that can perfectly absorb a particular wavelength of light, as opposed to emitting it the way a laser does. Now researchers have published a study that explores the blueprint for building an anti-laser that’s more complex than anything we’ve seen before. More than an anti-laser, this team’s device is a ‘random anti-laser’: capable of absorbing waves randomly scattered in all directions. This ability could have a variety of potential uses, in everything from phone antennas to medical equipment – anywhere waves are captured. 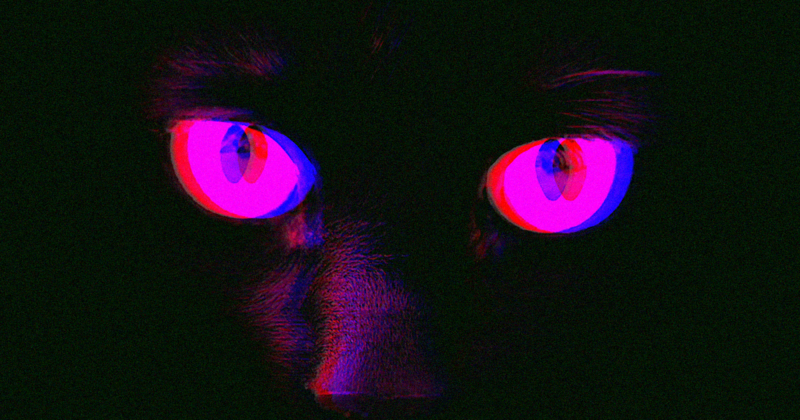 An anti-laser may sound wild, but it’s actually pretty much what it says on the tin. You can think of such a device as a laser light burst happening in reverse – getting swallowed up rather than beamed out, according to the researchers. “So far, anti-lasers have only been realised in one-dimensional structures onto which laser light was directed from opposite sides,” says one of the team, Stefan Rotter from the Vienna University of Technology in Austria. It’s that versatility and flexibility that sets this new anti-laser apart from what previous such devices. The team worked up a set of calculations and computer simulations to theorise how such a perfectly absorbing anti-laser might work, then backed them up with physical lab tests. Key to the process is finding a wave front for the incoming signals in order to perfectly absorb them. That then enables the absorption of waves that aren’t arriving in predictable ways, but rather as scattered signals bouncing in from multiple sources. “Waves that are being scattered in a complex way are really all around us – think about a mobile phone signal that is reflected several times before it reaches your cell phone,” says Rotter. When it came to building their own anti-laser, the scientists set up a series of randomly placed Teflon cylinders, and sent microwave signals scattering through them – a little bit like rocks deflecting water waves in a puddle of water. A waveguide placed on top with an antenna in its centre was used to absorb the incoming waves. The researchers managed to get an absorption rate of approximately 99.8 percent of the signals they broadcast. That high mark is only in tightly controlled conditions, though – the team first measured the wave reflections as they came back in order to finely tune the central antenna to absorb them. Both the frequency of the signal and the absorption strength have to be carefully calibrated. As a first attempt though, it’s very promising, and the theoretical physics behind the project suggests it can be adapted to a range of other signals and applications. It could work for any scenario “in which waves need to be perfectly focused, routed or absorbed”, write the researchers. “Imagine, for example, that you could adjust a cell phone signal exactly the right way, so that it is perfectly absorbed by the antenna in your cell phone,” says Rotter. Being treated with an anti-laser sounds pretty cool to us. through our teaching we “enhance comprehensive competence”. TU Wien (TUW) is located in the heart of Europe, in a cosmopolitan city of great cultural diversity. For nearly 200 years, TU Wien has been a place of research, teaching and learning in the service of progress. TU Wien is among the most successful technical universities in Europe and is Austria’s largest scientific-technical research and educational institution. We’ve been looking for decades for dark matter, yet the mysterious stuff remains undetectable to our instruments. Now, astrophysicists have explored an intriguing possibility: what if it’s not dark matter that’s affecting galactic rotation after all. What if it’s the mass of light instead? In a 1980 paper [The Astrophysical Journal], the American astronomer Vera Rubin pretty conclusively proved something really weird about galaxies: their rims are rotating far faster than they should be. As we move out from the galactic centre, the orbital motion of the stars and gas in the disc should theoretically slow down, with the decrease in velocity proportional to the distance from the centre. This is called Keplerian decline, or decreasing rotation curve, and it can be observed quite neatly in planetary systems like our own Solar System. But most galaxies don’t actually do this. Instead, their rotation curves either remain flat, or actually increase. Those outer stars are orbiting much more quickly than they should be, based on the gravitational effect of the matter we can observe. So astrophysicists hypothesised dark matter. We don’t know what it is, and we can’t detect it directly. But unless all our current understanding about the physical Universe (and all the data we’ve collected on the phenomenon is wrong), something out there is definitely making extra gravity. But that something might not be dark matter, according to a team of researchers – specifically, plasma physicist Dmitri Ryutov, who recently retired from the Lawrence Livermore National Laboratory in California, and Dmitry Budker and Victor Flambaum of the Johannes Gutenberg University of Mainz in Germany. In a new paper [The Astrophysical Journal], they lay out an argument that light particles (photons) are at least partially the source of the phenomenon – causing an effect that isn’t gravity, but behaves a heck of a lot like it. “The hypothetical effect we are investigating is not the result of increased gravity,” Budker said. The effect they describe is a sort of “negative pressure” caused by electromagnetic stresses related to the photon mass. When placed in the context of a mathematical system called Maxwell-Proca electrodynamics, these electromagnetic stresses can generate additional centripetal forces, acting predominantly on interstellar gas. The team calls this Proca stress, and it acts a lot like gravity. So, yes, it’s all purely hypothetical at this point. And it’s not perfect. On the one hand, short-lived stars that are born from gas (and rapidly return to gas before completing one orbit) would be strongly coupled with the gas; the Proca stresses acting on the gas would be indirectly also acting on these stars. But longer-lived stars create a problem. The Sun, for example, is around 4.6 billion years old, and orbits the galactic centre once every 230 million years, so it’s had a few turns on the roundabout. According to the team’s calculations, it should have a highly elliptical orbit under Proca stresses. And yet it does not. So the theory would need a bit of work to be compatible with our actual observations of the Universe. For now, dark matter is still king. But there’s no harm, and potentially a lot of good, in looking for other explanations too. “We don’t currently consider photon mass to be the solution to the rotation-curve problem. But it could be part of the solution,” Budker said.